The 2017 Nevada Chess annual membership meeting was called to order at 3:48PM on Saturday, April 22 by president Alan Losoff at the Las Vegas Chess Center. Alan Losoff, Tom Brownscombe, Sabrina Jauregui, Juan Jauregui, and Charles McVoy were present. Votes for the annual election were counted, and each of the following candidates received 10 votes: Tom Brownscombe, Juan Jauregui, and Alan Losoff. A motion to accept the election results passed unanimously. Tom Brownscombe, Juan Jauregui, and Alan Losoff have been reelected to the Nevada Chess Board of Directors. Charles McVoy discussed the possibility of a downtown chess park. Charles McVoy also discussed the Las Vegas Library Chess Club. The meeting was adjourned at 4:01PM. The 2017 Nevada State Scholastic Chess Championship is taking place on Saturday, March 25th, 2017 at the Las Vegas Day School, 3275 Red Rock St, Las Vegas. During the tournament you can check pairings and results online HERE. Nevada State Girls’ Championship 2017. 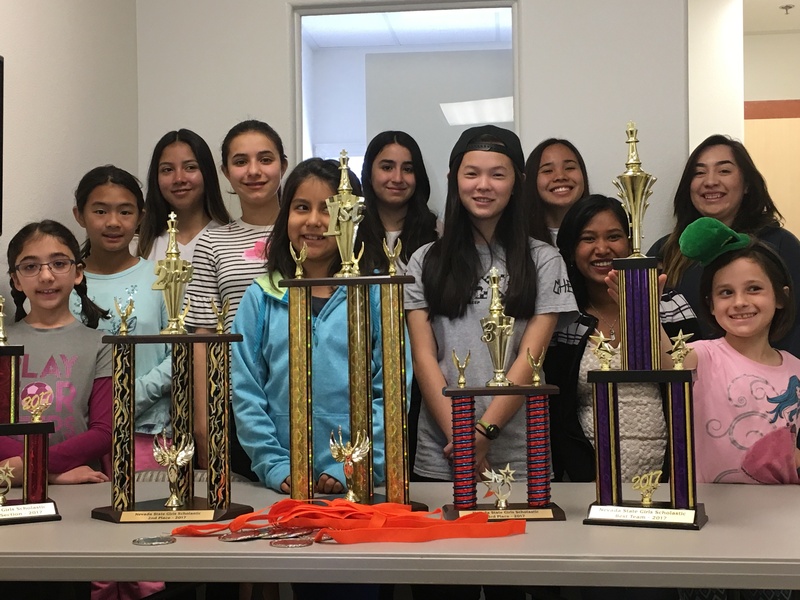 The first Nevada State Girls’ Scholastic championship took place today at our center. 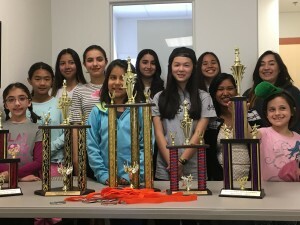 After five rounds Samira Prieto finished in first place with four points, tied in second to 5th places Nare Khachatryan (a great performance by Nare, she defeated the highest player in the tournament and current High School champion Naomi), Shemmei Wu, Naomi Santiago, and Jan Stephanie De Leon, all with 3.5. Stephanie took the trophy for the best Under 800 section. Shanti and Riya from Clarence Piggott Elementary took the best team trophy. Congratulations, and thank you to the players and the parents for making this great event possible. Comments Off on Nevada State Girls’ Championship 2017.